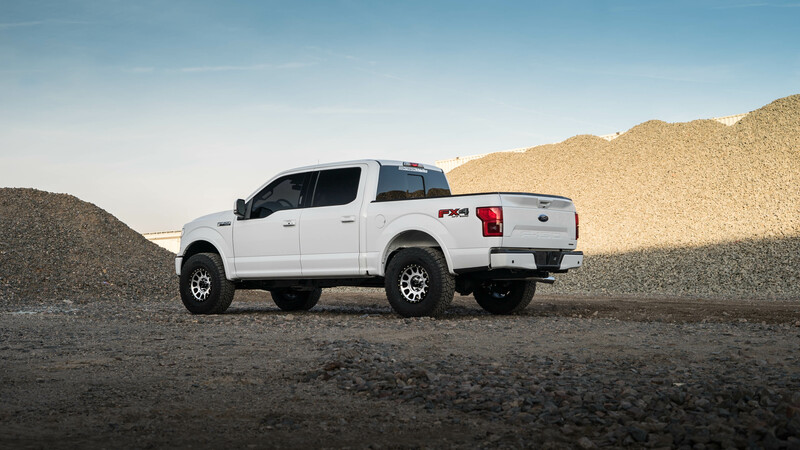 There are a ton of front leveling kits out there for the 2014 to 2019 F150s, but few give you both the ride height you want and the performance and reliability you need all in one package. 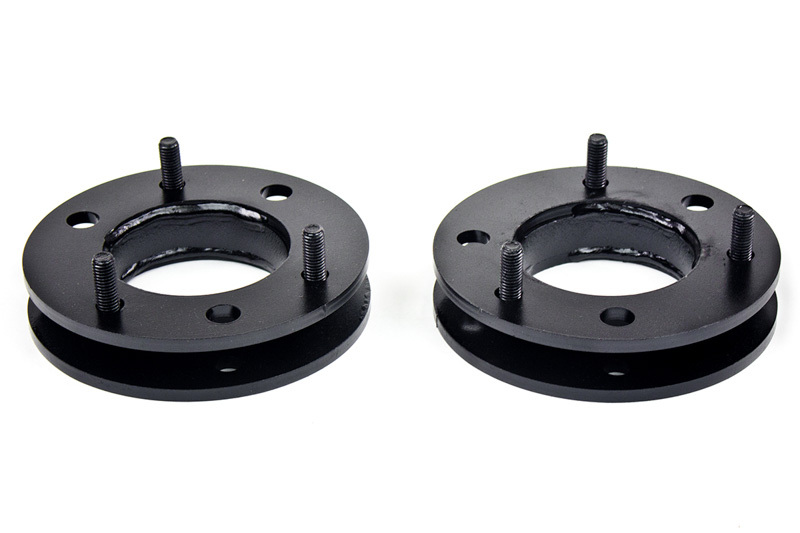 Auto Spring aims to fix that with this 2.5" front leveling kit that features a unique design that preserves your truck's smooth factory ride all while allowing your upper control arm to clear your springs without any rubbing at full articulation. 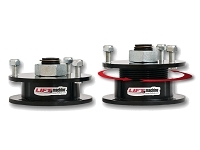 The 2.5" ride height gain allows to fit on up to 33" tires without the need to trim. 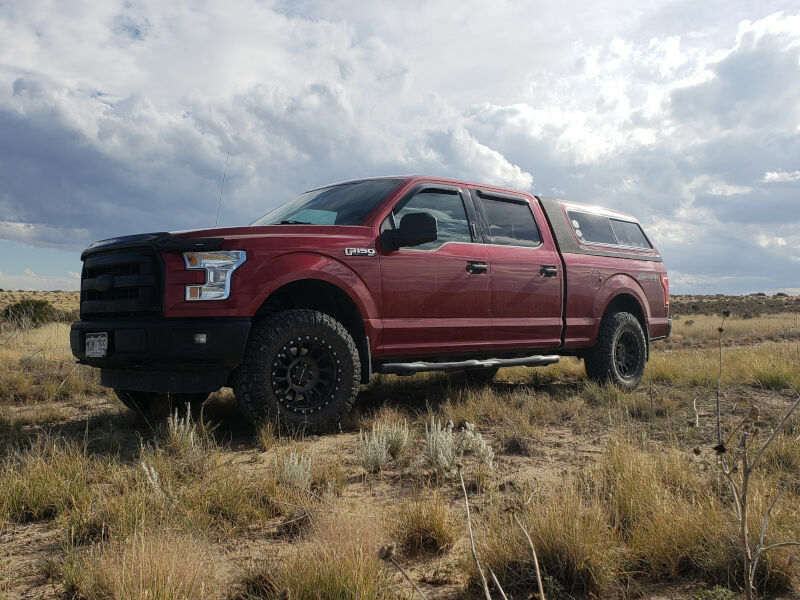 Auto Spring's heavy-duty spacers are the perfect choice for an F150 that needs to do it all. 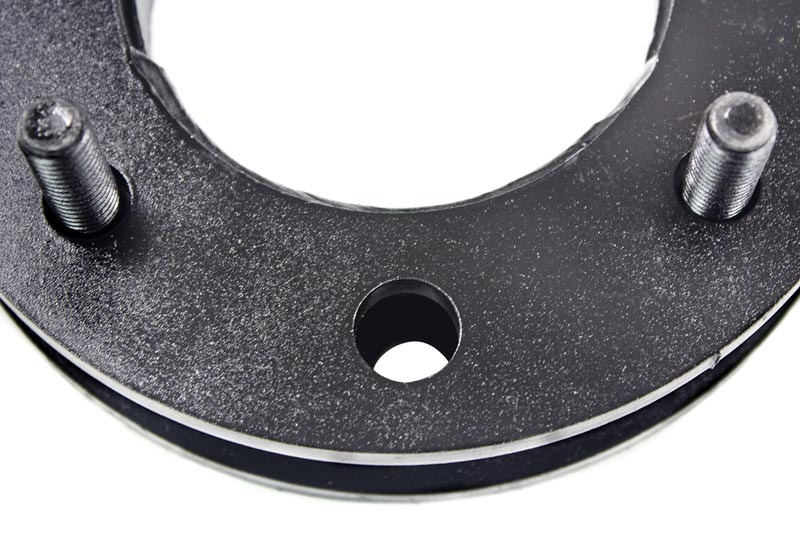 Each of these high-quality 2.5" F150 leveling spacers are made out of high-quality 1/4" steel plates that are all CNC laser-cut for a perfect fit every time. 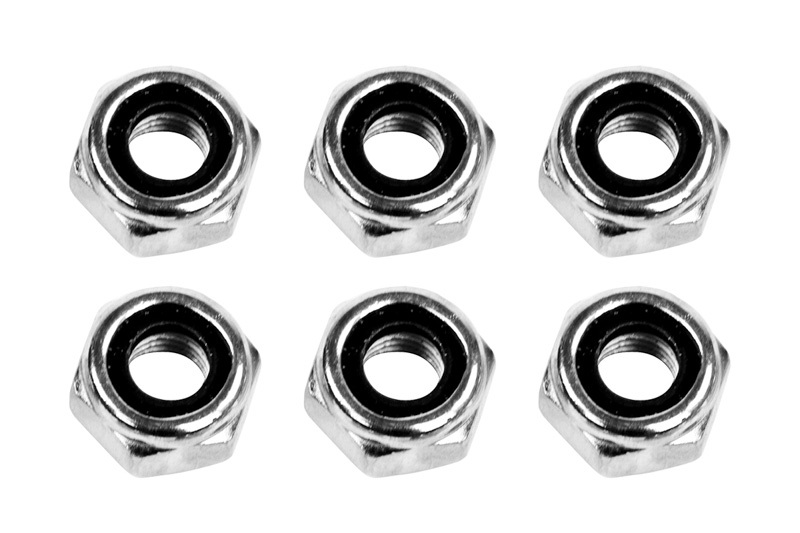 Each spacer features welded-in gussets that give both spacers immense strength and help prevent fatigue with age. 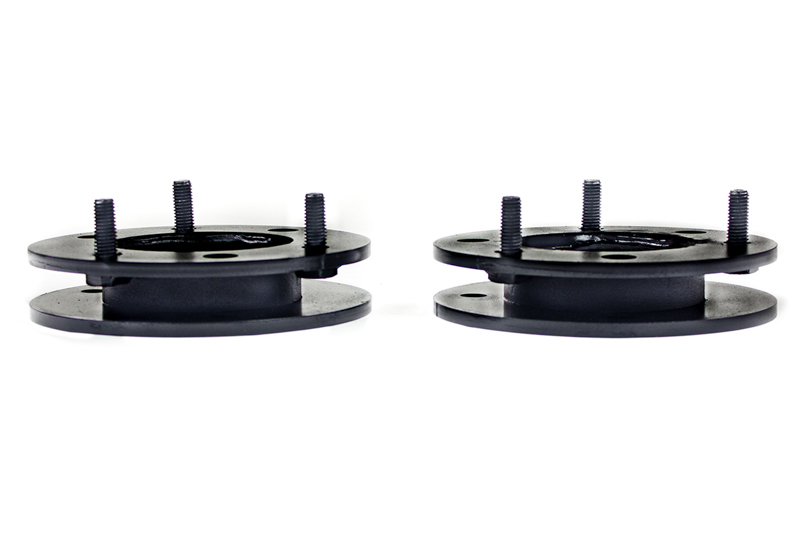 Auto Spring's patent-pending design gives these spacers a 1/4" offset that allows your control arms to clear the coil springs at full articulation so that you don't need to worry about pushing your truck to the limit off-road. The kit comes with zinc plated hardware and instructions that make it easy to install on your truck. The kit comes in either a black polyurethane or black powder coat finish at additional cost, which can be selected from our drop-down menu above. 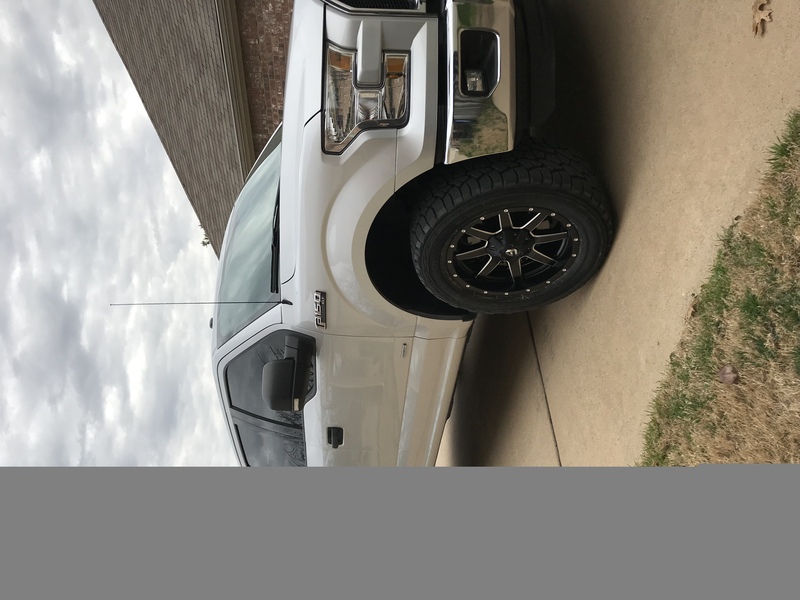 F150 Fitment: This leveling kit will only fit the 2014 to 2019 F150s. 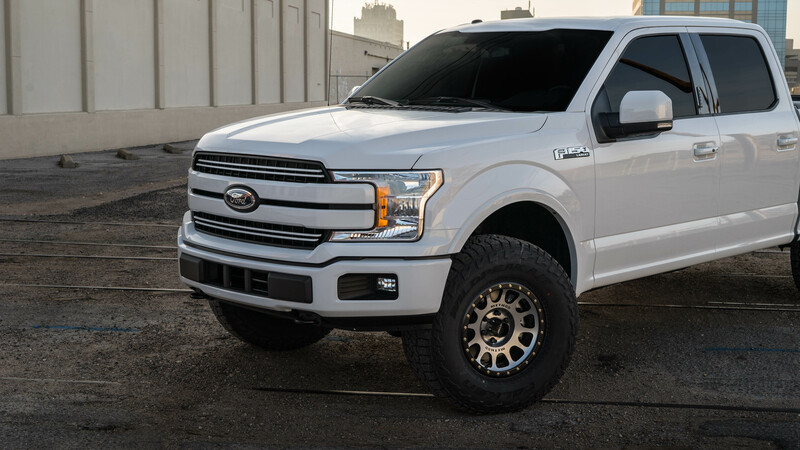 A version for the 2009 to 2013 F150s is also available. 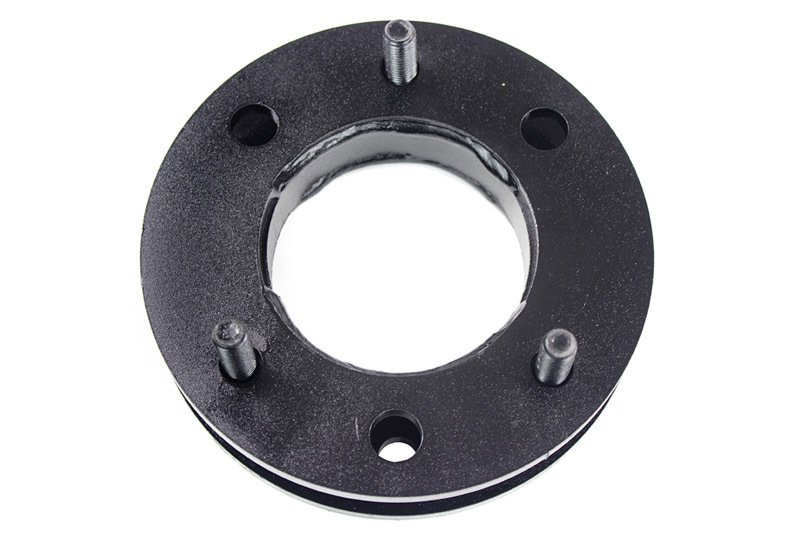 Install Note: This spacer kit requires the removal of your F150's factory strut assembly for installation. Please contact Stage 3 directly at 1-877-578-2433 with any questions and concerns. Flat Rate Shipping to Canada! Call 1-877-578-2433! We here at Stage 3 love and appreciate all of our Canadian customers. What we don't love is charging an arm, a leg, and maybe a kidney for shipping across the imaginary line up North. The good news is that we can ship this Auto Spring Kit to Canada for the low rate of $40! Just call us at 1-877-578-2433 to take advantage of this deal! 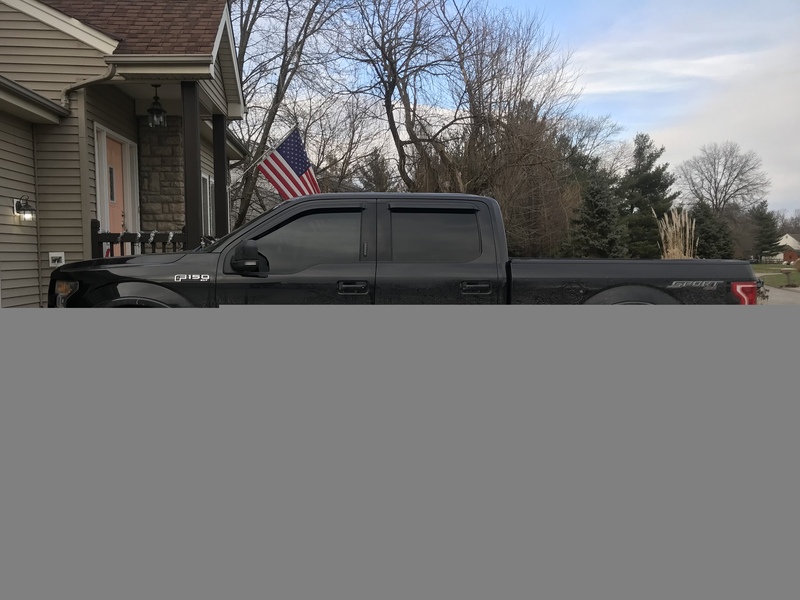 This leveling kit was easy to install and seems to be working perfectly. They don't look all cool like the billet one's but you cant see them when they are installed so who cares.I had the alignment done after install. 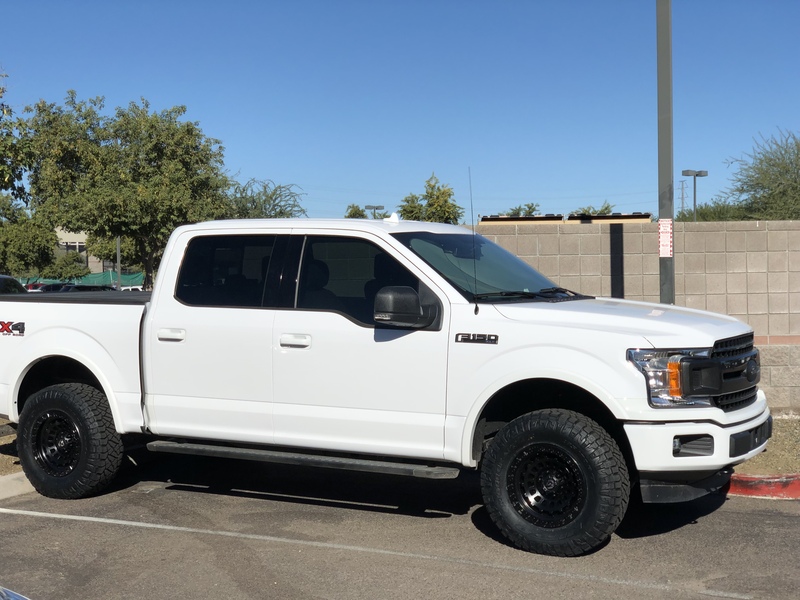 I was able to fit Ford Raptor wheels and tires (35) under my 4x4 F150 with no rub at all. I'm a happy customer. Great quality. I like the perfectly level stance (no rake), so am glad I read the reviews and went with the 2 1/2 kit. Looks exactly like I wanted it to. 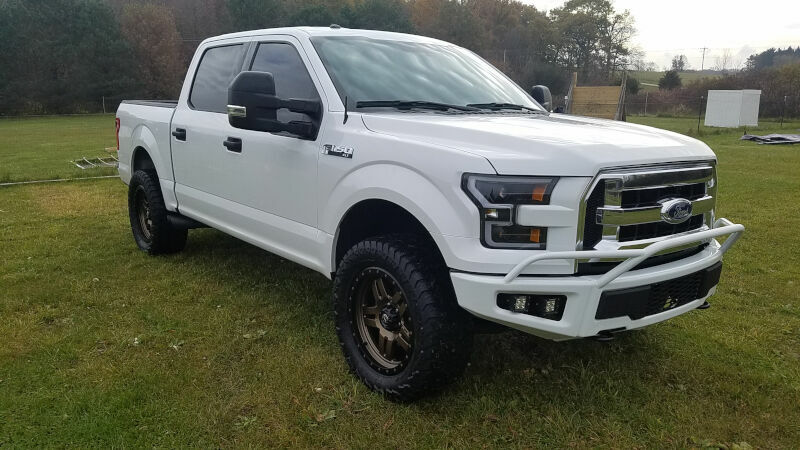 I purchased this for my 2016 F-150 Lariat FX4 Supercab. I didn't care for the factory stance of the truck and the 2.5 leveling kit raised the front so that there is still roughly 1/2 rake remaining. I had this installed at my local shop while I was getting a new set of tires. They didn't provide any specific feedback about the installation itself but they were not able to align the truck with the factory camber bolts after install. They said that there wasn't enough adjustment for the lower control arm and had to use an adjustment kit. I only saw one other person mention this in the reviews and wanted to add it since this was an unexpected additional expense. The handling and ride feels just like the factory setup and I was able to fit 34 tires without any rubbing with the leveling kit. Overall, I'm very happy with the purchase and would recommend this product but be aware of the possibility, and added expense, of needing a camber adjustment kit to go along with this. My truck now has the level look I was looking for and stilll has a sight rake. This kit was very well made. I optioned for the powder coated kit for the better finish. Installation was as expected. Lifted the truck exactly level. Like others had said why pay more for a spacer you cant even see. I got this for my 2016 F-150. This product was easy to install and took approx. 4 hours from start to finish, by myself. Got my new wheels and tires (33) put on the next day, followed by an alignment. There are no rubbing issues at all, no rake at all and my truck looks completely different. I would definitely recommend this product to anyone. Turned out better than I expected. I was skeptical about the whole offset thing but these seem to be well built. Took about three hours to install it. The upper arms do contact the spring with no load on the suspension but it's still doable to get it all back together. I fit 315/70r17 Goodyear Duratrac tires on without having to trim anything at all. No rubbing issues at all so far. Myself and everybody at the shop were surprised that they cleared with some (not much but some) extra room. Perfect height for the truck and they ride great! 2.5' kit installed by Fat Lip Customs in Haltom City, Tx. Kit was installed and aligned in 2 1/2 hours. Looks great, maintained about a 1/4' rake from rear to front. I am running 20x9 Fuel Mavericks with a +14 offset with 305/55r20 Cooper Discovery ATPs. No cutting or trimming and there is NO rubbing. Auto Spring 2.5' is the way to go if you have 4x4 with the factory installed rear lift block. Installed quickly with nice fit and finish easy to align the vehicle. Exactly what I was looking for! Great customer service. Quality part. Thanks! Easy install like video, levels truck and it looks awesome. Would recommend. The part functions just like it is supposed to. 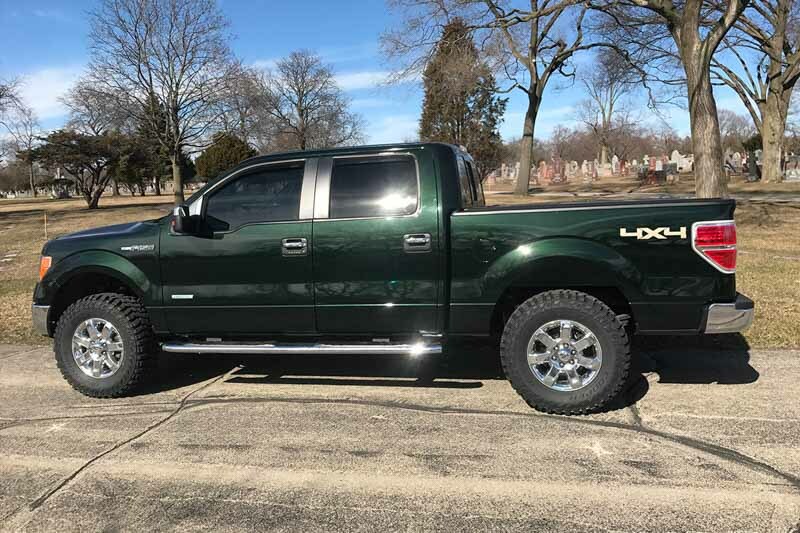 The truck looks good and that is what I wanted. However, the instructions seem to me like they were written by someone who has neither installed this kit themself nor seen a qualified person do it. Basically I had to look at what I had and what needed to move to make everything create enough room to work. I did the install myself with basic floor jacks and hand tools so it is possible but I've heard of qualified shops having trouble putting the 2.5 levels on. It's almost worth the money to pay someone to do it. Overall function and quality is good. Disregard most of the instructions if you're a good mechanic. Excellent price for what you get, i put these on for the short term as i am looking to get the FOX 2.0 coilovers. instructions were easy to read, installed with a friend in approx. 4hrs. Installation went much smoother than expected. Between my dad and I, we installed both spacers and completed the entire job in 3.5 hours. It took a lot of muscle work but in the end it was much easier than we anticipated. And that truck looks so damn good! These spacers are exactly what I wanted to get a clean level on my F-150. Highly recommend! Great product and once I was done the front end sat about a quarter to a half inch higher than the back. 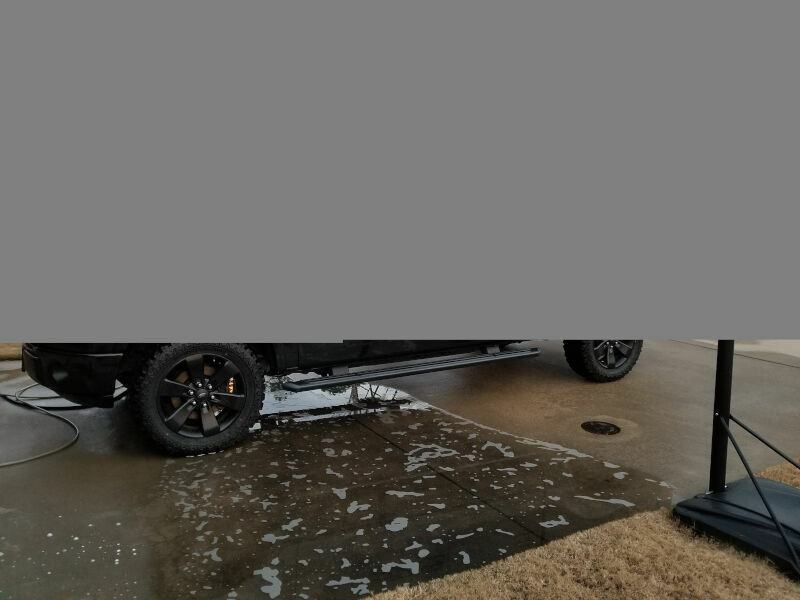 The ride quality is still the same and it was a little challengingredients to put on in the driveway but I got it on and love it so far I've been about 2000 miles on it great product. 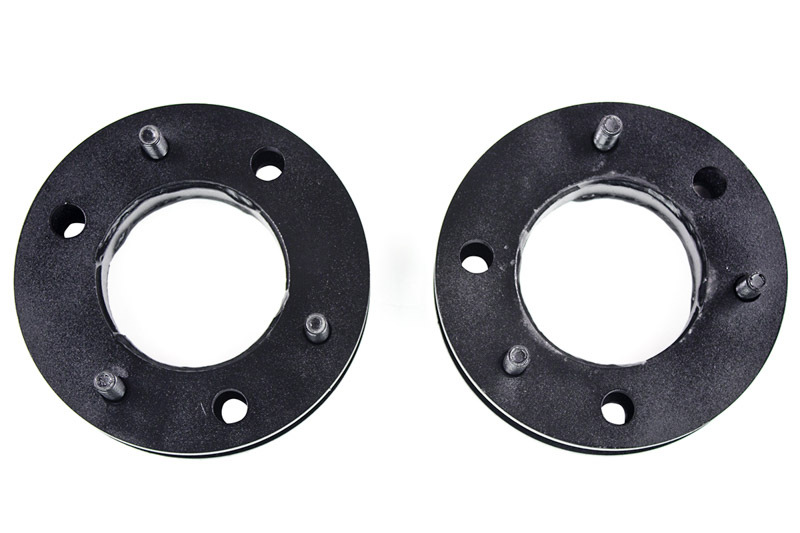 These make my truck level and were easy to install with minimal effort. They make my truck look great! Great product, took about 4 hours with hands tools only. Truck looks great, just had to get it aligned afterwards. I will highly recommend this to anyone! Very easy to install and was able to run 35s by cutting the front crash bars. Great product to this point, installed in 2 hrs, toe align the next day. Really sets the truck off! Installation was easy, took about 3 hours for both sides alone. The only thing I have to do is install a camber kit. I have a pretty negative camber after getting it professionally aligned. I get a loud metallic clunk when I turn at very low speeds, such as turn out of a parking spot. Still not sure what is causing it. The truck is nice and leveled, but I'll be buying a 6 Lift from these guys soon. Fairly easy installation with instructions and video (stage 3 youtube post). A large pry bar is needed to 'pop' the struts out and place and get them back in. I had a slight hiccup knocking out the two lower strut retainer bolts. They take much more force than the video leads you to believe. Be sure to have a 5-pound sledge on hand. Love the new stance. The 2.5 brought the front up about 1/2 more than the rear on my crewcab 4x4 with only 5,000 miles. I was lead to believe that this would settle after a few ten thousand miles. All in all the price was great and the desired results achieved. This product was fairly easy to install. Be sure to torque everything to specs. Rides just as smooth and looks great. Looking forward to getting bigger wheels and tires. Highly recommended this part. Great product. Levelled my truck exactly the way I wanted it. Install took me 5 hours in my driveway. Took the truck to my local shop and they literally had it installed in like 2 hours. Went and picked it up and the truck drove like a charm. Didnt think it needed an alignment but i got it anyways just to be on the safe side. The truck is perfectly leveled and gives it a little more of an aggressive look. My dad says it rides so good it doesnt even feel like a truck haha. And i 100% agree. I had this kit installed by Ford last Thursday and it looked great. The following day, I started to notice a creaking/squeeking type noise coming from the front driver side well anytime I drove over a bump, and even when getting in and out. At first I figured it was normal, but I decided to take it by Ford to have it checked out. Upon inspection, they found that one of the spacers studs had broken off. Ford assured me they had torqued the kit to specs, so I can't say for sure the cause of the failure. My desired look was accomplished, but the failure of the product has lost my trust. The dealer ordered me a Readylift level kit and will be swapping them out tomorrow. 3 stars because the pros and cons offset in my opinion. Spaces work great. I didn't drop the lower control arm or even bother loosening them. A couple crow bars and a few beers later and they went in. I now have 305-70-18 tires on my stock sport wheels with no rubbing. 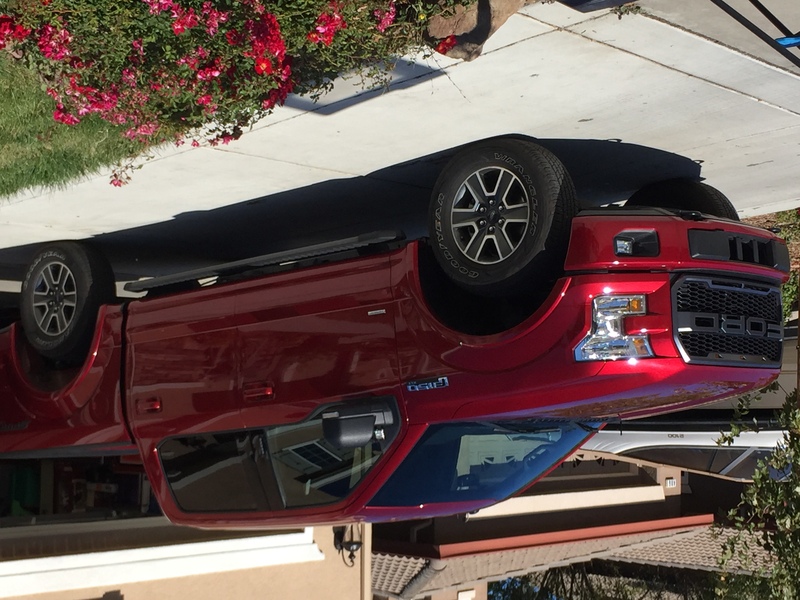 Love the look this gives '16 F-150 4x4 3.5EB SuperCab. I didn't go crazy on the tires, just Falken Wildpeak AT3W All Terrain Radial Tire - 285/70R17 117T . Install time was 3 hrs total including jacking, supporting truck and locating tools. The lift gave exactly 2.5 of increased clearance between tire and fender. Also to note the rear of the truck gained .5 from the front lift kit. I love the lift. The install wasn't horrible but a bit tough. My 15yo son and I did it and were not auto guys by any means but we were able to do it in about 6 hours. Totally worth it. Install time was around 2-3 hours with basic tools. Rides as expected, good quality overall aswell. Great product and easy to install. I had the benefit of a lift and would recommend dropping the lower control arms from the frame vs. messing with the front axles. straight forward install, took about and 40 minutes to an hour per side. 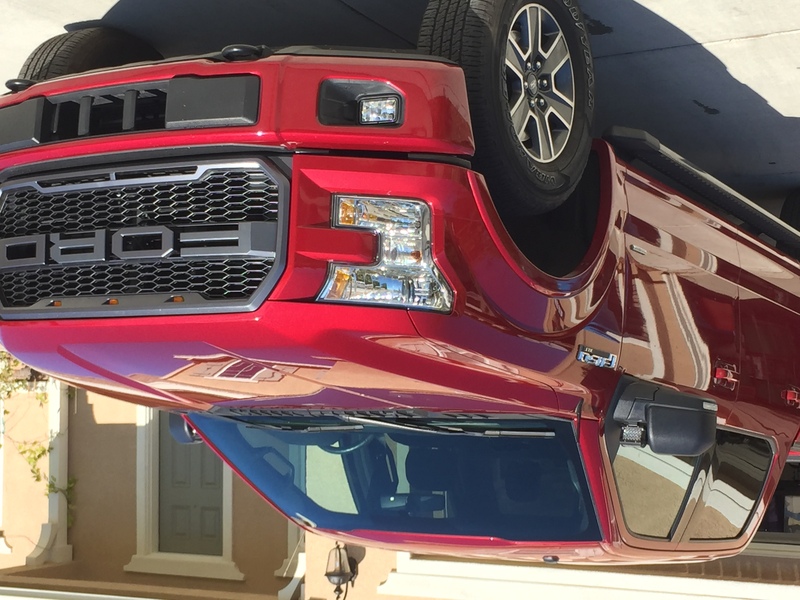 I have a 2015 F150 Crew 4WD 6.5 ft bed. I installed these, with no spaces and was able to fit the stock wheels and tires from a Ford Raptor (315 70r17 which is about 34.5). They have the correct offset for this to work without any rubbing and zero trimming. It left the front slightly higher than the back (about .5), so I installed larger blocks on the back. I did 3 blocks which raised the back about 1.5 and gave me a rake, which I wanted for hauling etc. Very happy with this kit. Got my truck just about dead level. 275/70/18 tires clear no problem. Have not had any problems with proposing or UCA contact off roading. I found Stage3's install video more helpful than included instructions. Things you should co sided having on hand before install: heat gun to loosen lower strut bolts to beat out. Long galvanized pipe as a breaker bar and a long pry bar. Local shop was able to get alignment no problem, no extra kit. Install took me 2 hours. this is the third leveling kit I've installed. bolt pattern matched up just had to twist the strut to line up the bolts. 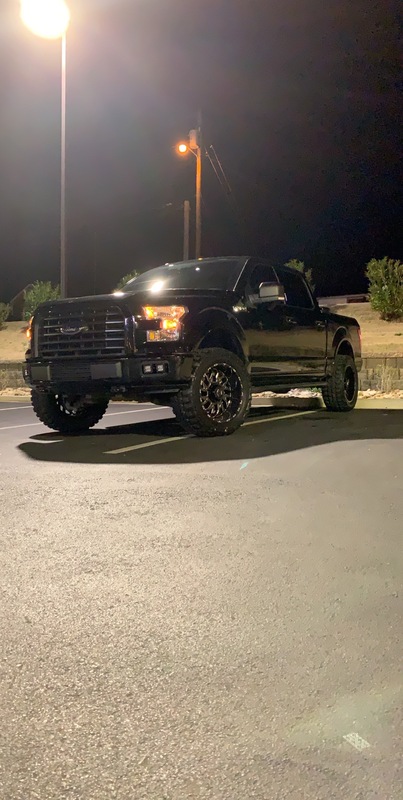 my 2018 f 150 Lariat sits perfectly level with this kit. There is still a .25' rake, but looks way better. Little bit stiffer ride quality, but minor. Installed with the help of my brother in about 2.5hrs and some serious hammering and pulling. Definitely harder to fit than a 2'. I did the install myself, it took me around 3 hours to do because I don't have all the electric tools but it looks very nice on the truck gives it a bigger appearance and didn't cause any issues with any truck functions so I'm very happy with the look, ride, install process,and instructions provided. It also shipped fairly quickly and was not damaged at all. Would definitely recommend to anyone not looking for something too expensive or big. It would be smart to get an alignment done after if you installed yourself. I had a buddy of mine who is a mechanic help install. Product is very well built and very much worth the money. Took approx. 1 hour to install for us. Ride is very smooth and I am a very happy customer. What is the difference between an "offset" kit and ones that are not? 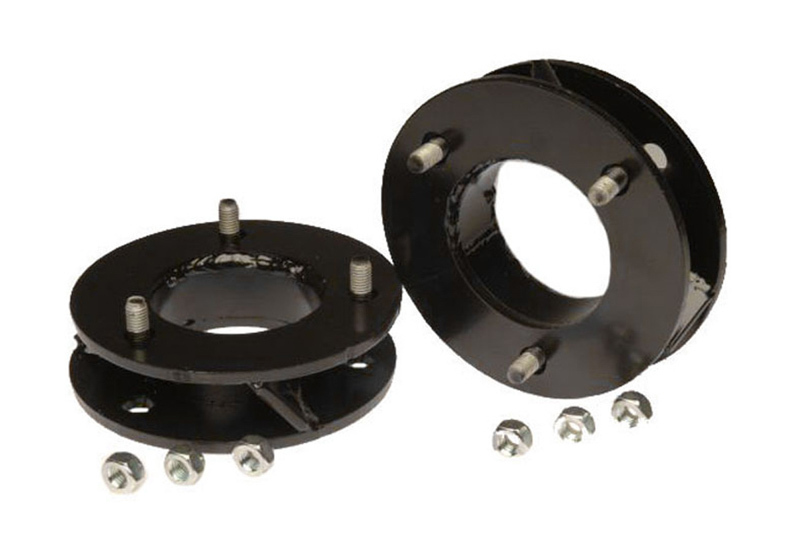 This kit has a 1/4" offset angle between its upper and lower mounting surfaces with helps maintain stock camber which makes getting an alignment easier and helps you avoid UCA contact with your truck's springs at full droop. Was this answer helpful? 14 of 14 Found Helpful. I keep reading about the offset angle. Is there a scribe on the kit that denotes which way the unit needs to be installed in order to get the angle set correctly? Or is it more foolproof than I am thinking? It's a bit more foolproof than that, in that the spacers can only install one way, as the studs on top of the strut mount aren't equally spaced apart. 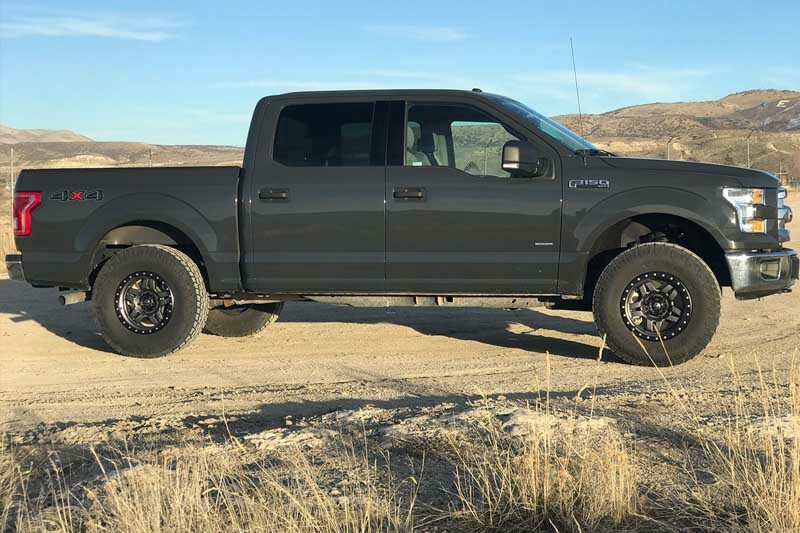 Does buying the 2" vs the 2.5" lift make a difference in ride quality? 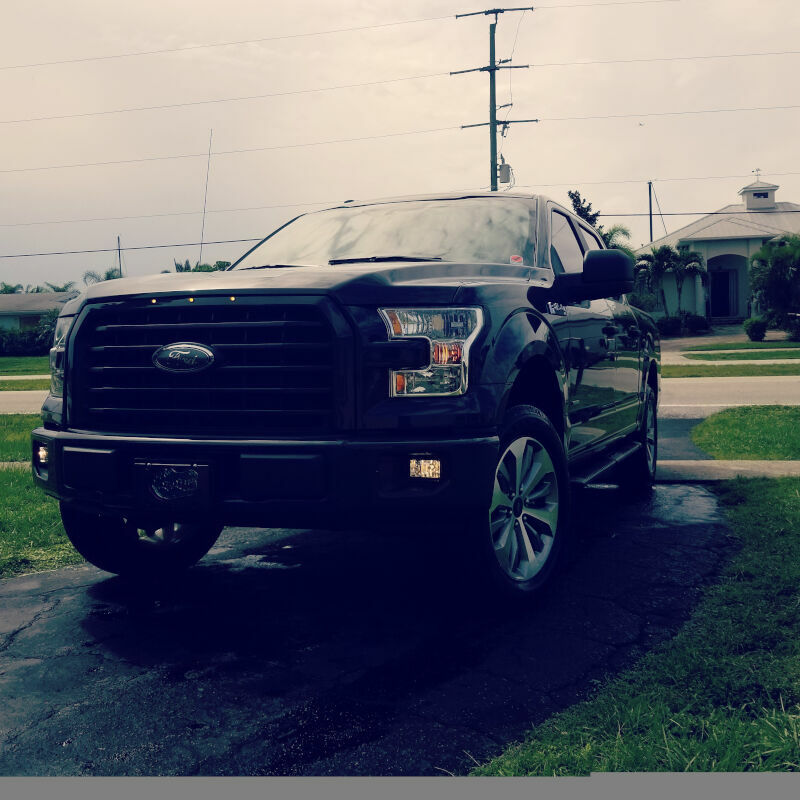 I recently had a 2.5" installed and aligned on my truck and my ride quality is poor. A friend of mine has a 2" with minimal to no ride quality changes. In general, there shouldn't be a huge difference in ride quality between a 2" leveling kit and a 2.5" leveling kit. If you are having ride quality issues, ensure that the leveling kit is installed properly with everything torqued down to spec. 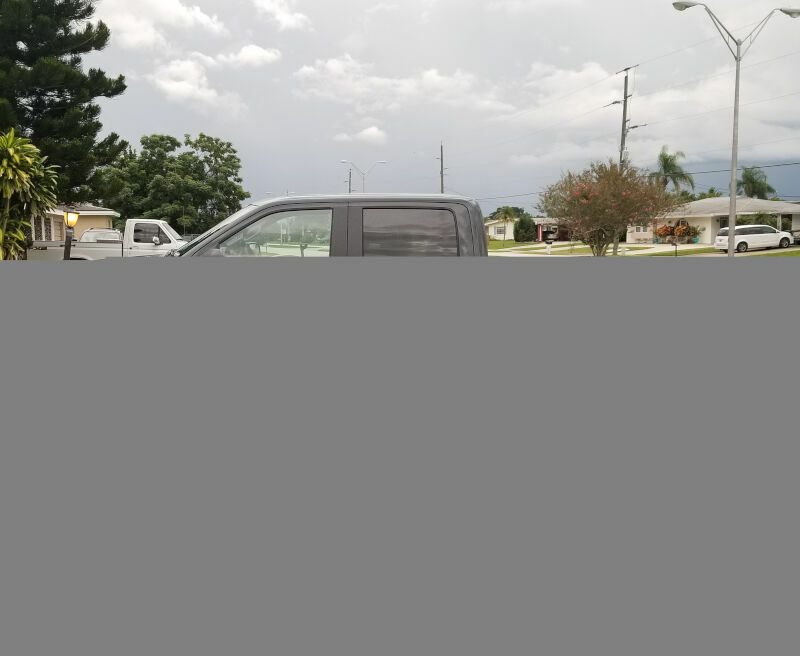 You may also want to get your truck's alignment double-checked and possibly corrected. If none of those things are the issue, give us a call directly at 1-877-578-2433 for further troubleshooting. 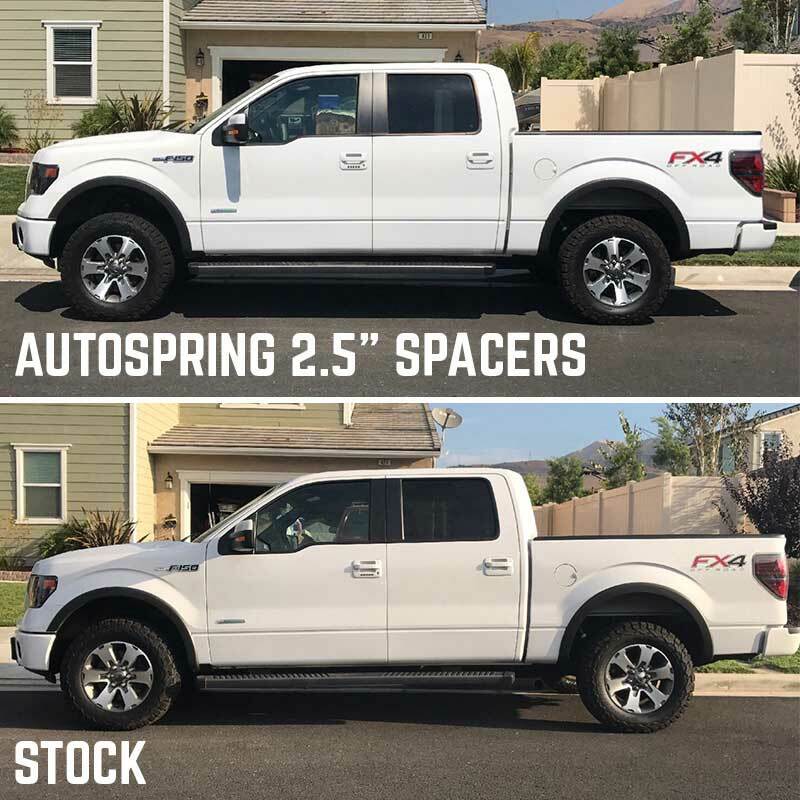 The actual spacer is about 1-5/8" tall, which works in a ratio with the rest of your F150's suspension to provide 2.5" of extra ride height. 2015, FX4 supercrew 4wd, I want to put 35in tires on my stock 17in steel wheels will this kit lift the front end enough to allow me to do it? They said the back should be no problem. We generally only recommend up to 33" tires when using factory wheels. 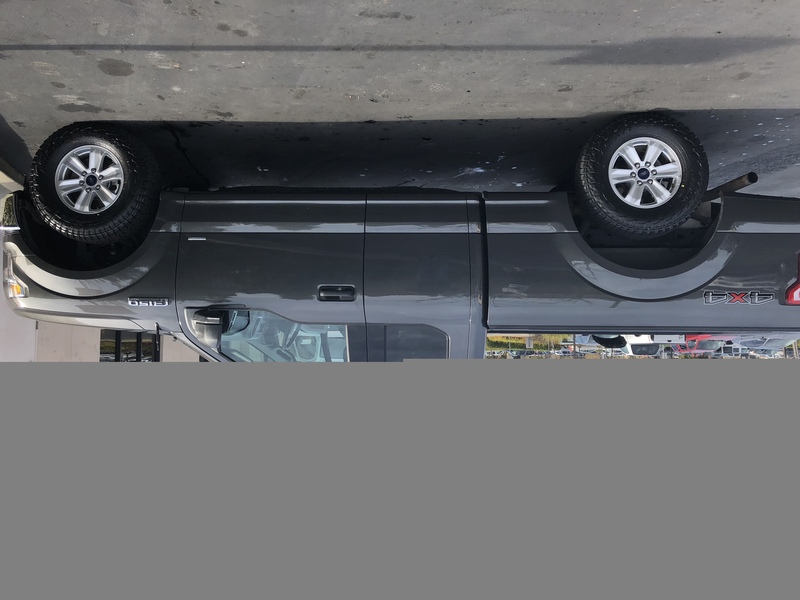 You could potentially fit larger tires on, but you'd need to be prepared for some rubbing or to use a fairly narrow tire with just a leveling kit. 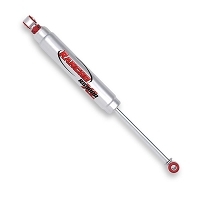 Will I need longer brake lines with the 2.5 leveling kit ? Nope. There's enough slack in the lines to handle 2.5" leveling kits just fine. I was told the 2015 had a slightly different bolt pattern from the 2014 when I tried to have it installed. Will this fit the 2015 4WD F150 3.5L? 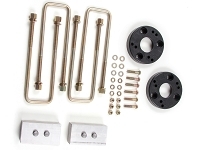 According to Auto Spring, this kit will fit the 2015 F150s with 4WD, regardless of engine option. Was this answer helpful? 2 of 3 Found Helpful. This kit is the correct variant for the 2014 F150s. Will this fit a 2011 f150 4wd? I want a 2.5 level. It will not fit a 2011 F150. 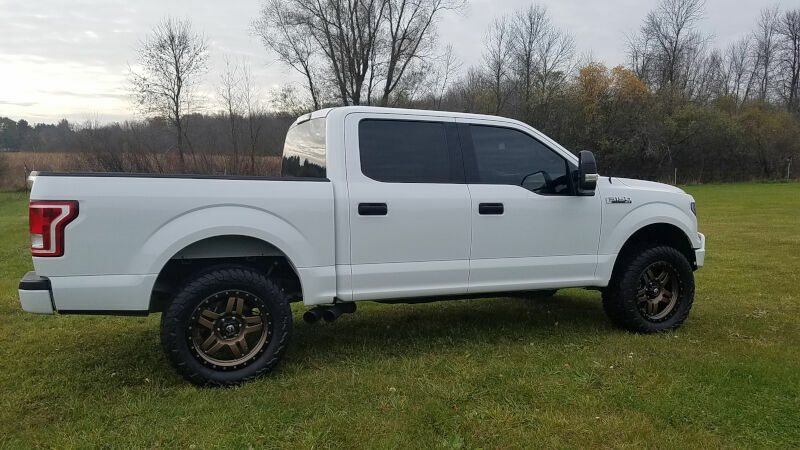 The kit you need is Auto Spring's 2009-2013 F150 2.5" Leveling Kit. i have previously heard that the spacer to lift ratio was 1:2 so for a 1 inch spacer it would lift 2 inches. So if your spacer is 1.675 inches wouldn't that lift the truck over 3 inches? That is not correct. The ratio of spacer size to lift height is on a curve, and isn't a flat-across-the-board ratio. 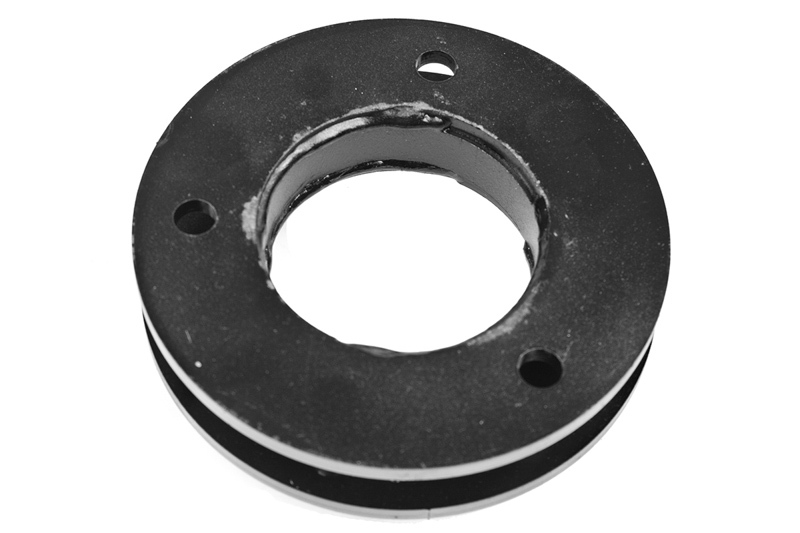 This spacer kit levels 2.5"